How to run reports or prepare information for your tax accountant, management or for your own statistical review. 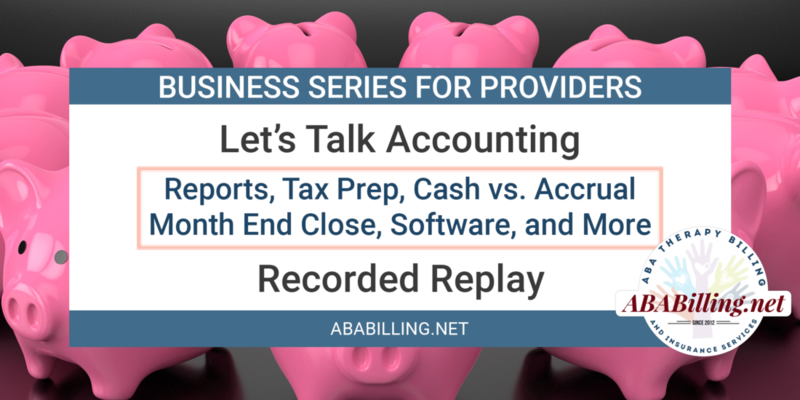 We will cover the difference between cash and accrual basis accounting and what information will support a month end close of your books. Also providing tips to set up your Quickbooks or other accounting software to be complimented by your practice management data. Join us to learn how to keep a pulse on these critical financial factors for your company.